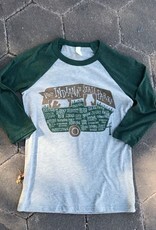 Incredibly soft heathered baseball shirt featuring an image of a Shasta-style trailer. A percentage of the proceeds from this shirt will go to the Indiana Natural Resources Foundation to help preserve Indiana's State Parks. 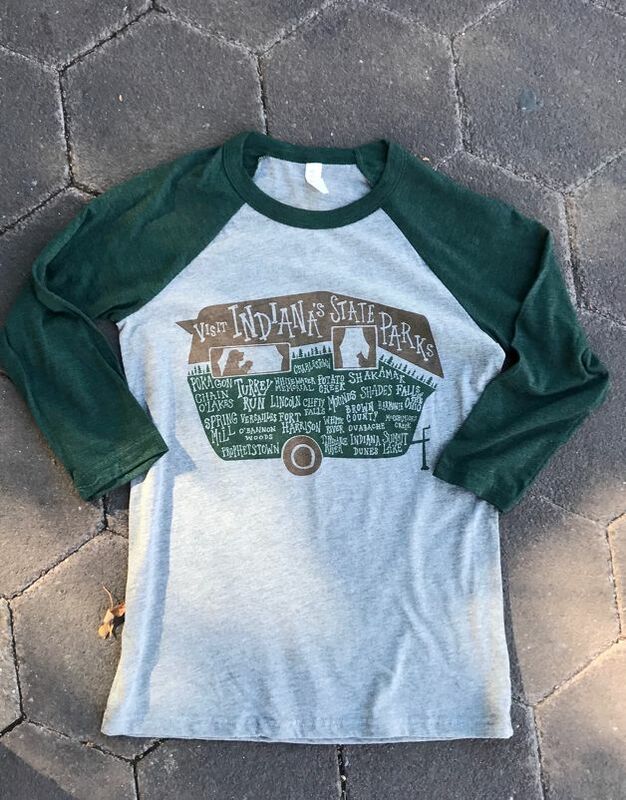 Design is hand lettered with all 25 Indiana State Parks names. Look in the trailers window and you’ll see two pups and one kitty ready for a weekend of camping. Brown and Green screen print.